Worldwide, the pooled global prevalence of Celiac Disease is reported to be about 1.4% of the population, with many of those cases going undiagnosed. Left untreated, Celiac Disease can lead to long-term health complications including early onset osteoporosis, miscarriage and iron deficiency anemia. 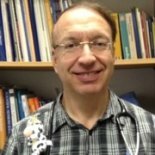 While a 100% gluten-free diet is the only existing treatment for celiac disease today, our guest on this episode, Prof. Michael Wilschanski, MD explains why many may not realize that. Wilschanski delves into the disease's relationship to dental issues, and obesity. He shares surprising ways of identifying and managing this disease, and the exciting research underway at Hadassah Medical Organization.